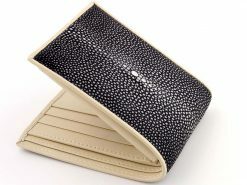 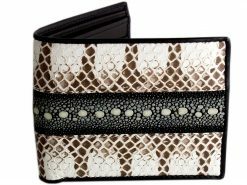 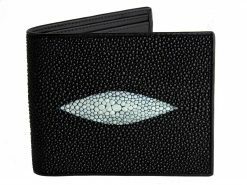 A stylish stingray leather wallet finished in a rich lemon color with a contrasting black interior and edge. 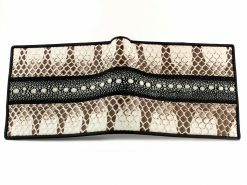 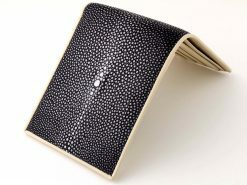 The mysterious qualities of stingray skin have been appreciated by many cultures since the times of the ancients. 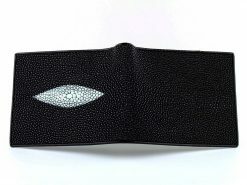 In fact some of the earlier users of stingray thought that it brought them strength and power and that the white pearls on the back gave them luck and made them prosperous. 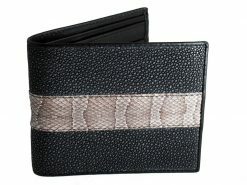 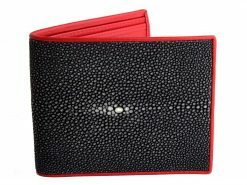 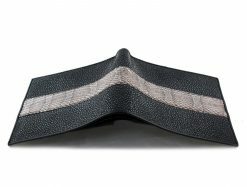 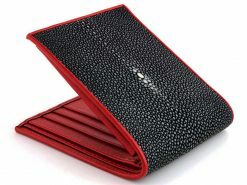 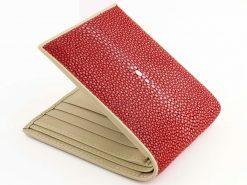 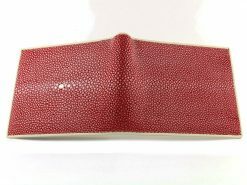 A really fine example of a sanded stingray wallet that has been polished giving it a beautiful micro mosaic effect.